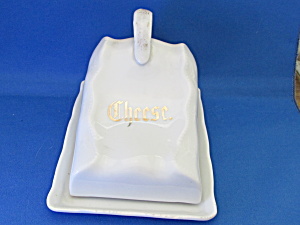 Wonderful very old covered cheese dish that was made in Germany. I think this was made in late 1800. Dish is 6 1/4" long and 4" tall. Has "Made in Germany" on the inside of the lid. In excellent condition.